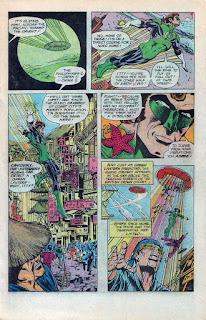 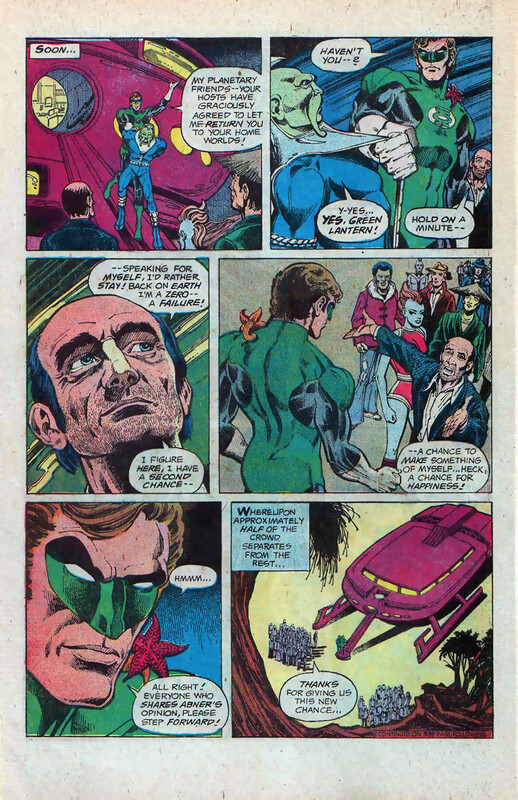 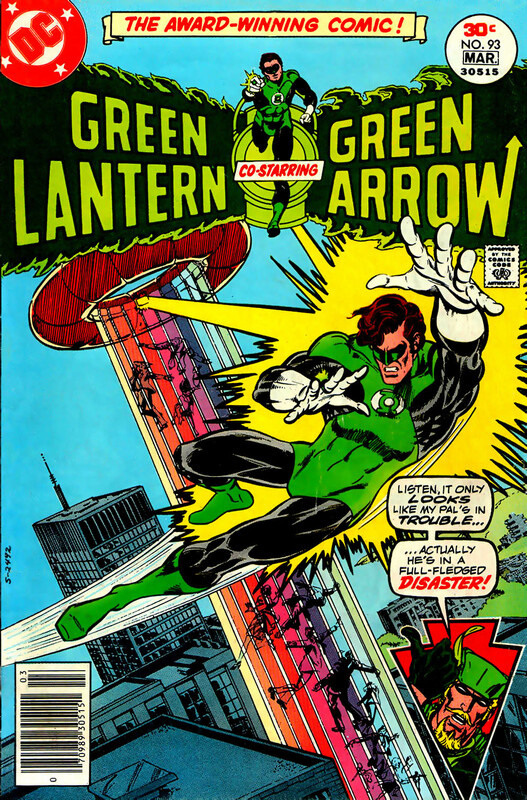 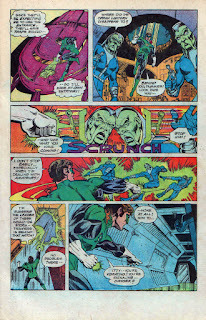 Although politically the opposite of what O'Neil and Adams were chronicling in the all new, all now GL/GA I was still disappointed when the title was revived and reverted to a more traditional sci-fi focus. This issue is really good. 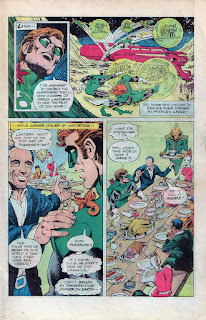 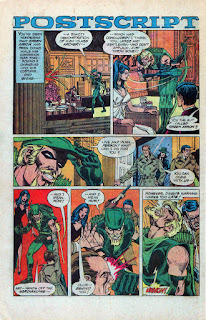 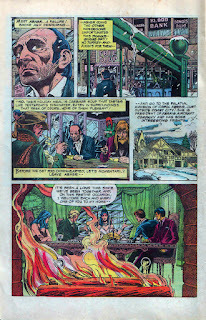 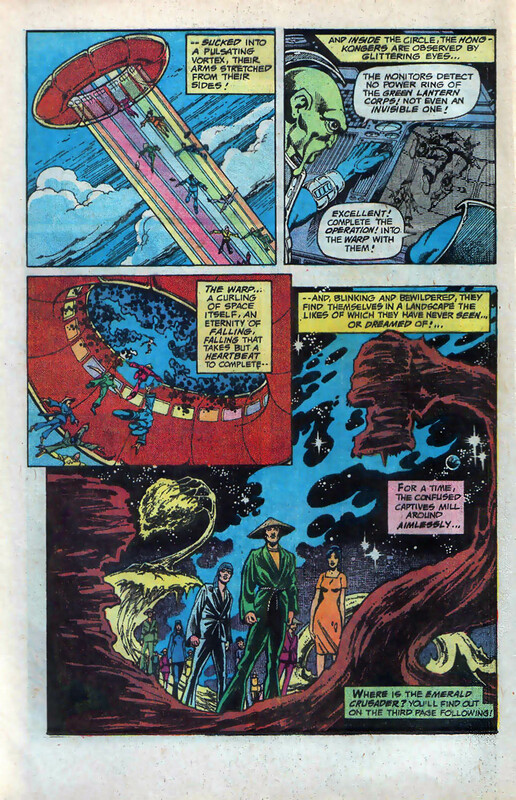 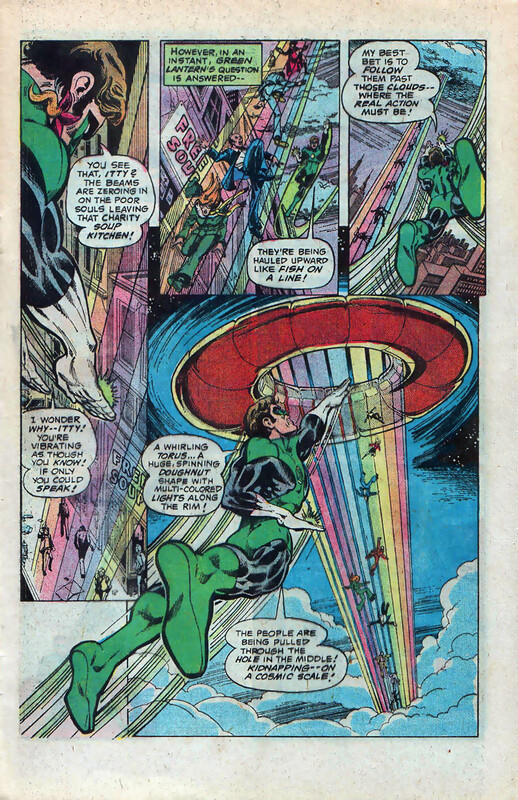 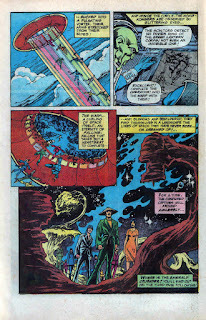 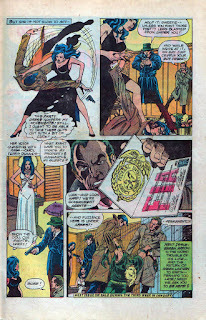 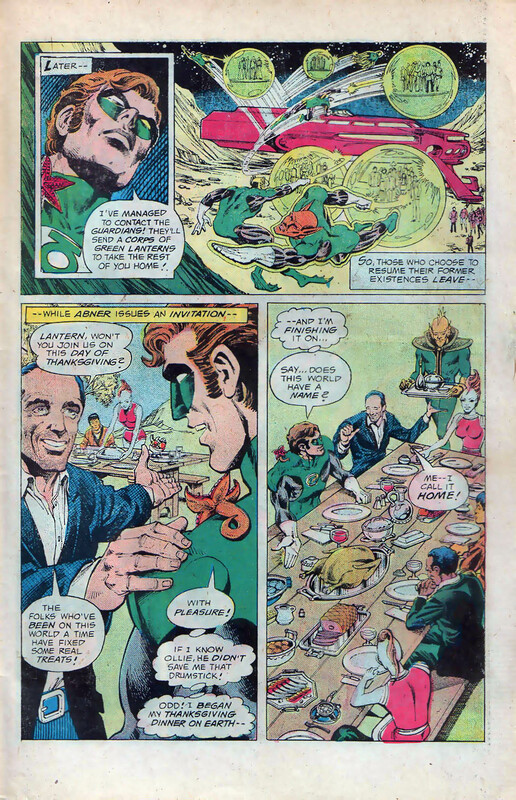 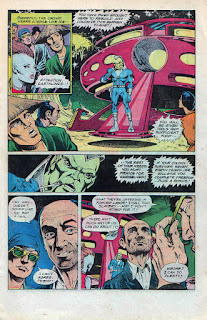 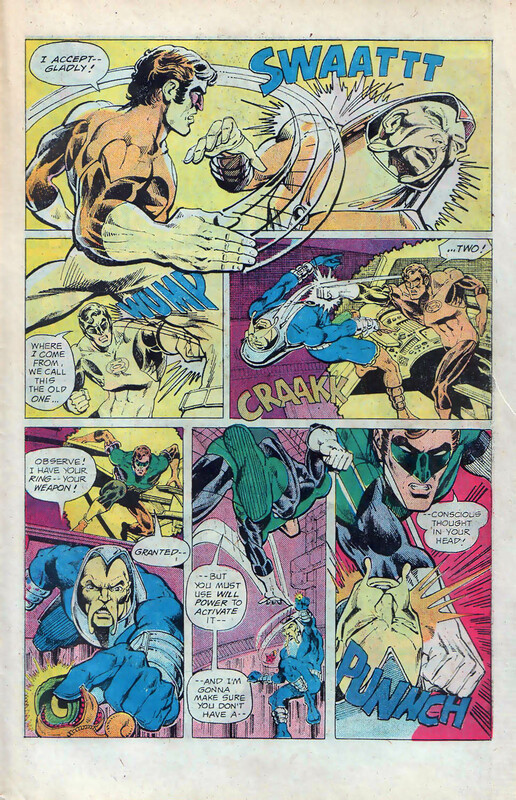 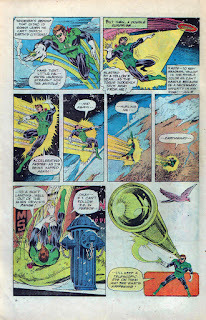 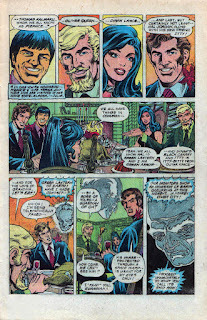 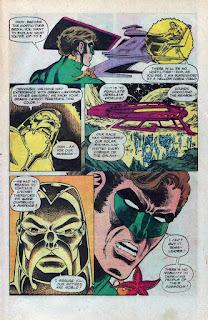 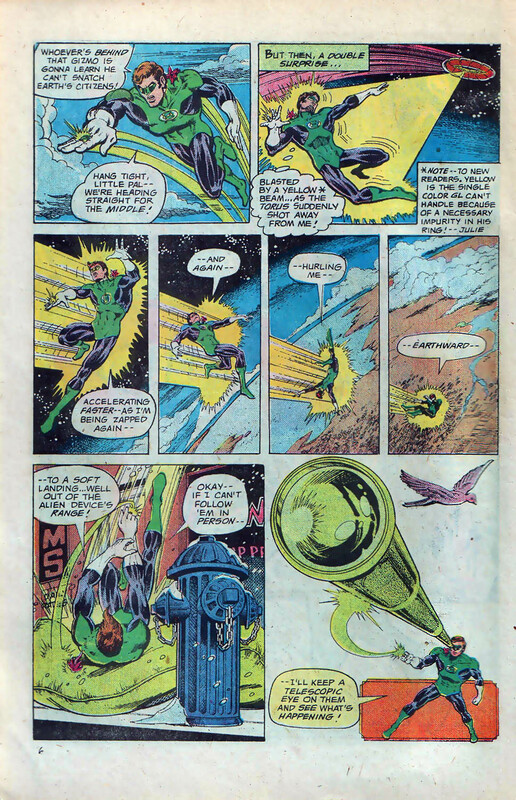 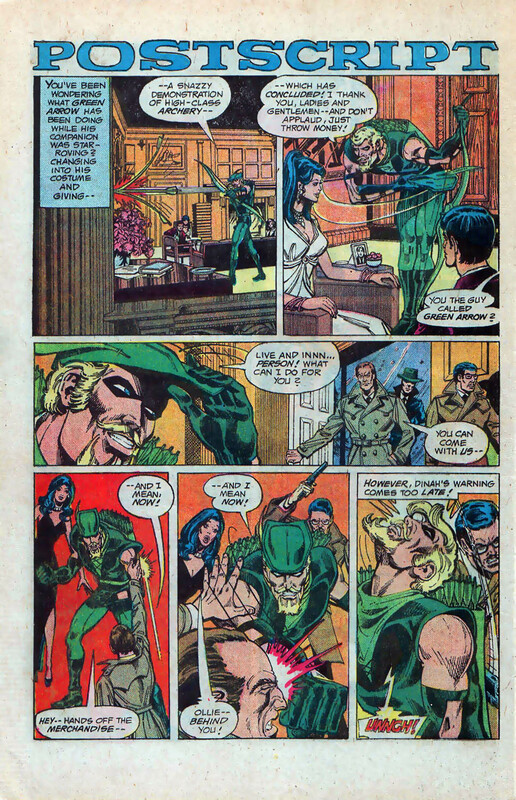 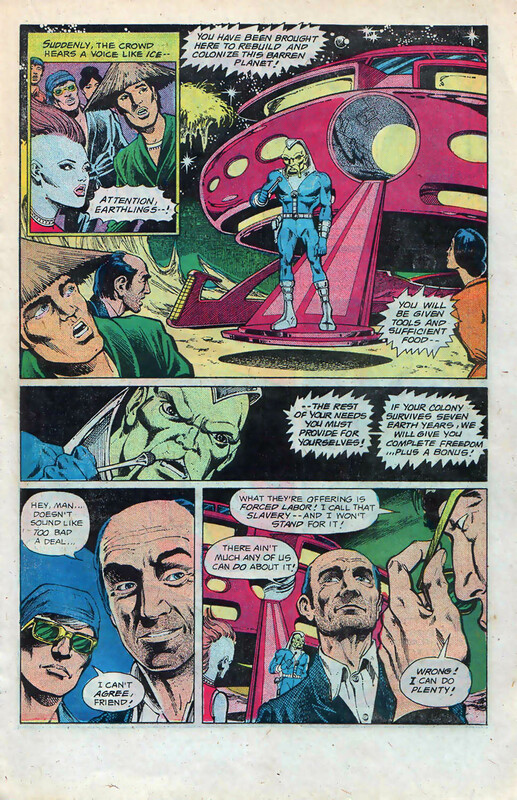 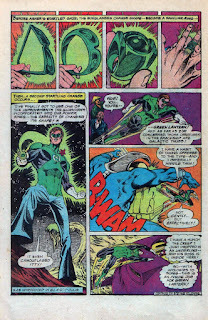 Grell was cutting loose with his graphics, aided immensely by the prince of the pen points, Terry Austin (I sure miss his presence in comics today). Thanks for this! 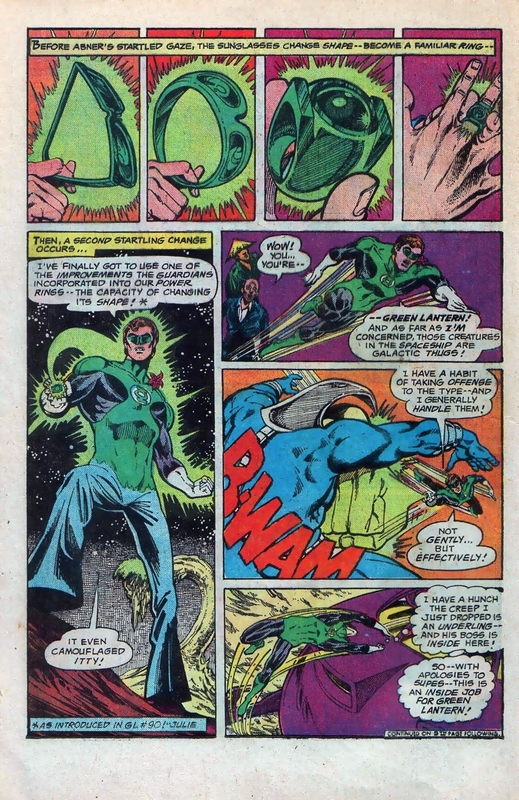 I've been waiting so long for one of my favorite DC heroes toe shown. 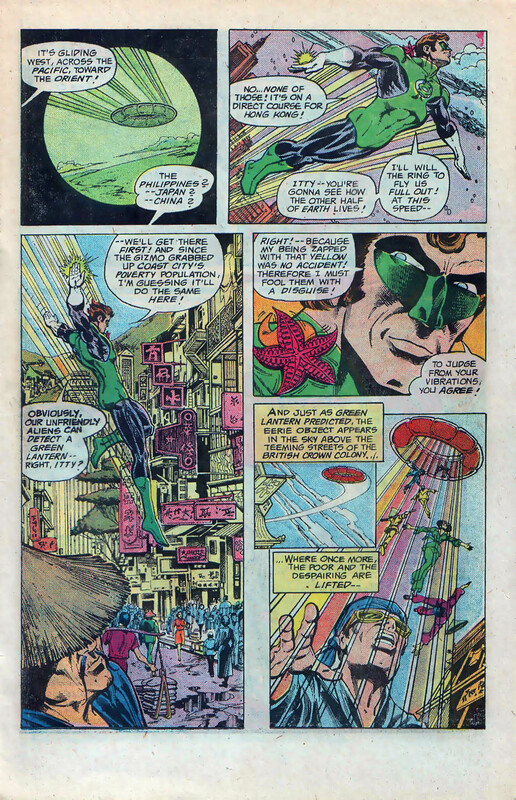 I wasn't going to say anything, Don't get me wrong I like Aquaman but I can only handle so many scenes of waving sea weed. 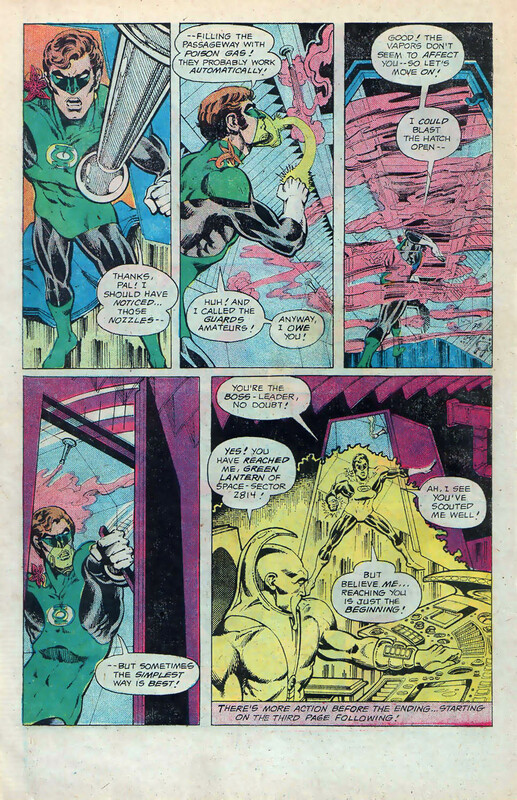 I like GL so much more. 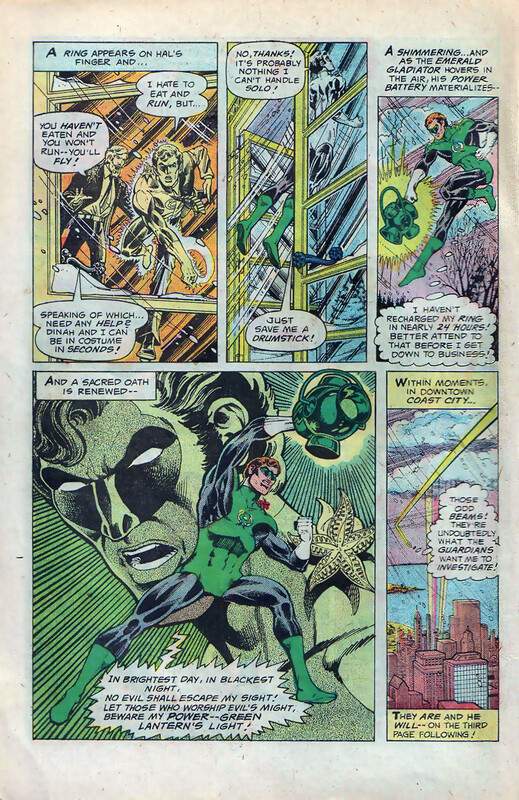 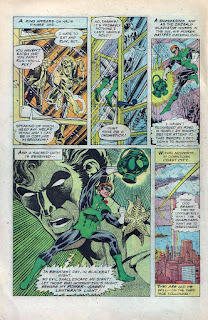 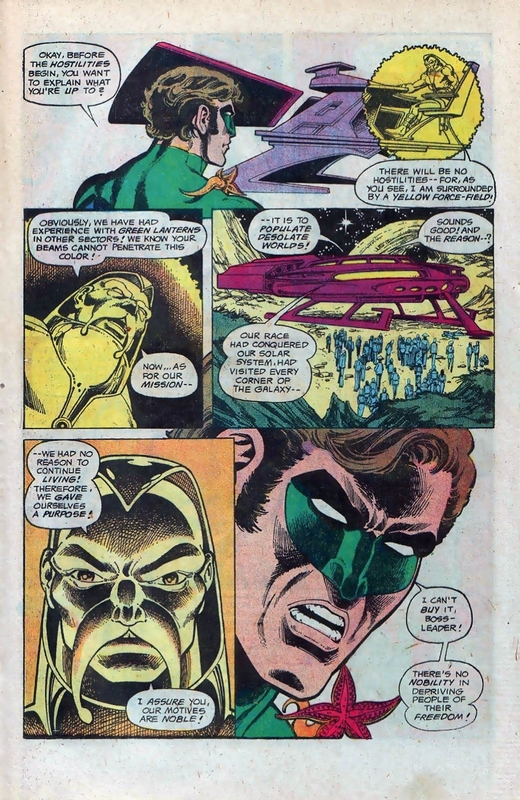 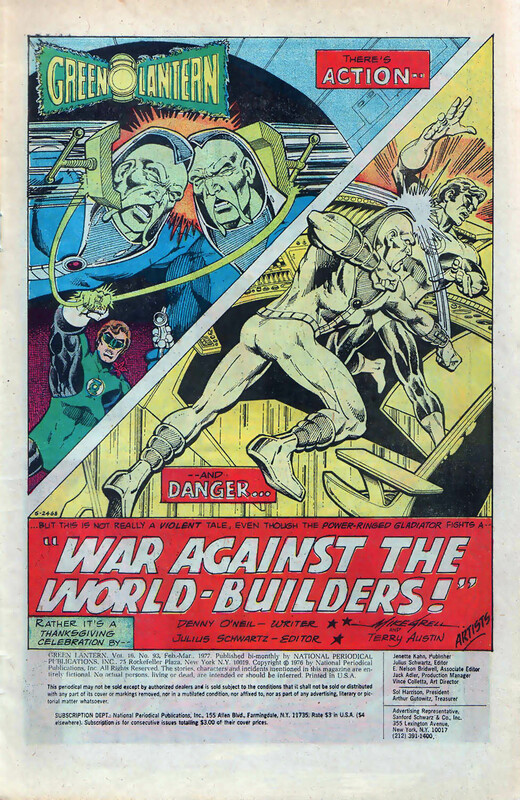 This was my very first Green Lantern comic. 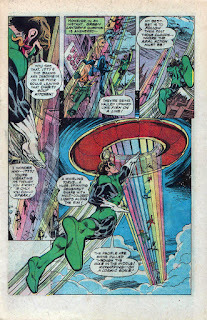 Bought off a spinner rack at the local liquor store. 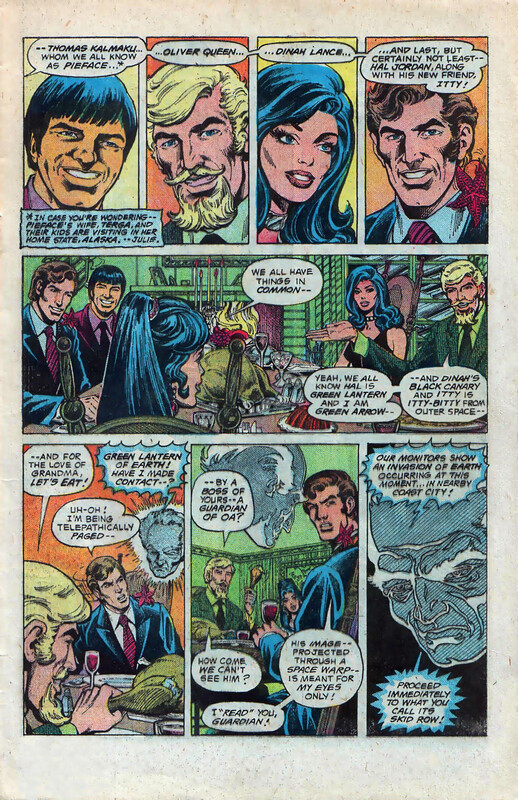 Thanks Groove.